Wish you knew how to attract a lot more new guitar students? Being able to attract new guitar students consistently from month to month is a staple for any successful guitar teacher. Most teachers try to get new students by simply ‘advertising more’. However, their efforts usually fail because advertising is only one piece of the puzzle. In a moment I will show you how to get more guitar students by proving that you are the best guitar teacher to work with. Before you read any further, test yourself and learn more about how to find more guitar students. This (combined with the information in this article) will help you understand what areas you need to work on now so that you can quickly begin attracting lots of new students. 1. Are completely unaware of what can be achieved on guitar. This means they don’t truly understand how to establish musical goals on their own. 2. Don’t have a strong sense of confidence in their guitar playing. As a result, they choose very short-sighted goals based on what they think is ‘possible’ rather than what they truly want. A lot of your guitar students will come to you wanting to do things like play a few songs, play faster or emulate their favorite guitar player. Of course, if they really understood the world of musical possibilities that extends beyond these simple goals, they would be highly motivated to achieve much more. Most guitar teachers are satisfied with just teaching these basic things to their students until eventually their students get bored and leave (because they quickly accomplished their small objective). Until you educate your students on what is really possible, they will set very weak goals and believe that there is nothing else to be learned. It is your job as a guitar teacher to open the minds of your students to a whole new dimension of musical possibilities. This will motivate them to continue working with you for a long time and tell everyone they know about your lessons. Make it a point to help your students build up their musical goals from very basic ones to bigger, more long term ones and help them grow into excellent musicians. Once you prove that you truly care about helping your guitar students (more than any other guitar teacher could) you will be able to attract new students and keep them for very long periods of time. There are countless ways you can do this, however, to keep this article short I will only mention one: Rather than spending all the money you make teaching lessons on other things, use some of it to directly increase the amount of value your students get from having you as their teacher. Hold group jam sessions, parties, dinners or other events that can only be attended by your students. Do not charge them for this! Give it to them 100% free to let them know that they are part of something truly special and that taking lessons with you brings much more benefit beyond simply learning to play guitar. Most guitar teachers never do anything like this (making you really stick out in the crowd!). You don’t want to be that one guitar teacher who teaches his students only what they ‘believe they should be learning.’ It’s very easy for students to distract themselves and stray away from their ultimate musical goals when they try to learn things that ‘seem interesting’, but have no real benefit for them. With this in mind, they will often try to convince you that they should be learning these kinds of things and this can be very distracting for you as well (if you allow it to be so). Truth is, the overwhelming majority of students have no idea what they should be learning and why they should be learning it. That is why they are the students and you are the teacher. You will attract many more guitar students once you turn your existing ones into truly great musicians. This only happens when they achieve their musical goals as quickly and effectively as possible, so don’t let them get off course simply when they ‘think’ they should be learning something. Why do so many guitar teachers fail to achieve any significant level of success in their guitar teaching businesses? Answer: they teach based on the ‘trial and error’ approach. If your potential guitar students become aware of the fact that you teach based on trial and error, they will lose all faith in your ability to bring them the results they want. For instance, imagine if your doctor told you that he was going to perform surgery on you based on his experience using a trial and error approach, would you agree to it? Of course not. Guitar students are not dumb, they understand that working together with a guitar teacher who is essentially using them as a guinea pig is a HUGE risk with little chance of paying off. Of course you will improve as a guitar teacher when you get more experience, however you will develop a very poor local reputation for yourself by continually losing students in the process. Don’t wreck your local reputation, get trained by a guitar teacher trainer and learn the most effective ways to teach guitar now rather than only offering your students ‘hit-or-miss’ results. If you know much about me at all, you might be thinking that this article is simply an advertisement for my guitar teaching business training – it’s not. Truth is, I don’t care who you get this kind of training from, I’m simply pointing out that getting this kind of training is ESSENTIAL and it will help you attract many more guitar students (plus get better results for them). 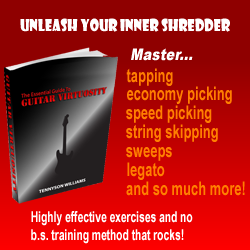 All truly successful guitar teachers have this type of training, so if you want to join them, you must get it as well. 5. Unless you are teaching beginner guitar students, do not use the exact same teaching approach for every guitar student you have. Instead, teach them based on their specific goals, needs and learning styles. To get the best results for your students, you must learn to both teach ‘guitar’ AND ‘people’. In other words, don’t try to find some one-size-fits-all approach that you can use for all your students. This will never bring great results for them, nor will it help you get more students (or earn a greater income). You must think of unique strategies that will be effective at getting results for the student sitting in front of you every lesson you teach (and inspiring them to want to learn more and more for years at a time). You will have a very difficult time getting new guitar students to take lessons with you if the only thing they think about is ‘how much you cost’. When the only deciding factor for whether someone takes lessons with you or another teacher is ‘price’, it reduces your teaching down to a mere commodity. In other words, what you offer is absolutely no different than what other guitar teachers in your area are offering. Once a prospect believes this, they will always choose the cheapest option and assume they made the best choice. You must educate all prospective students to help them understand how YOU will get them better results much faster than anyone else in your local area (while saving them time and money). Show your students a list full of the students who were once only mediocre guitarists, but then went on to become great players after studying with you. Explain how you have spent a great deal of time being trained by a successful guitar trainer (something most teachers can’t say). Keep in mind this is completely different than merely having a degree in music because having a degree does not actually help you ‘teach guitar’. Teach your guitar lessons in unique formats that help your students improve much faster (explain to them the benefits of using these formats). Get more information on how to use various teaching formats by watching this video about how to make a living as a guitar teacher. Become the local expert in a specific style for guitar (such as rock, metal, jazz, etc.) rather than being a ‘general’ guitar teacher. 1. Prospective students will see that you really are the best option for them. 2. Other local guitar instructors will begin losing tons of students because their students will want to work with someone who gets the absolute best results… YOU! Now that you have discovered many new ways to attract more guitar students, take action right now to apply what you’ve learned into your guitar teaching business. By doing everything I’ve talked about here, you will quickly fill your guitar teaching schedule with motivated students who are glad to be working with you. Test yourself now with the free assessment I have created to learn more about how to find more guitar students. 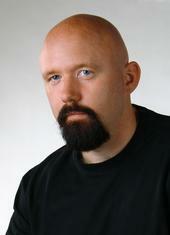 Tom Hess is a highly successful guitar teacher, recording artist and the guitar player. He helps people from all over the world learn how to teach guitar. Visit his website tomhess.net to get free guitar teacher resources and to read more guitar teaching articles.